Is Crystal Light Bad For You? - Here Is Your Answer. Crystal light is bad for you. In spite of its claim to being natural, it contains less than 2% of natural flavoring and the additional 98% is comprised of junk and poisons. “Turn the Water you need into the Water you love”. This is the advertising slogan that Kraft boasts about their five calorie ‘healthy beverage’, Crystal Light. The drink is target towards those who do not particularly love their H2O. However, the problem is—once you put the toxic powder in your drink, it is far removed from the nourishing natural water that your body craves. We all know sugar is bad. It causes several unwanted effects, including weight gain—which is why most people make the switch to artificial sweeteners. This popular remedy includes a host of adverse effects. The full depth of these effects is still undetermined since some sweeteners have not been on the market for extended periods of time. 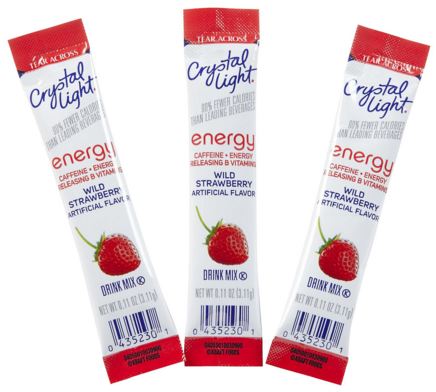 Crystal Light Original contains two artificial sweeteners, Aspartame and Acesulfame Potassium (Ace-K). Ace K is 200X sweeter than sugar. In comparison to many artificial sweeteners on the market, Ace K has significantly less known side effects. It has some weak connections, as a carcinogen. There is additional research linking it the with disruption of proper neurological function, as well as problems with the liver and kidneys. Most of the research associated with the sweetener is inconclusive, though little long-term research is available. 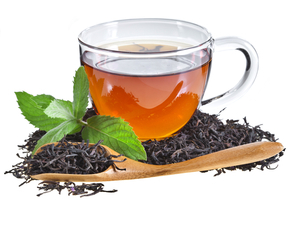 Due to the bitter aftertaste of this chemical, it is usually used in conjunction with another sweetener, increasing the risk factors. Aspartame, also 200X sweeter than sugar, is an artificial sweetener that brings on a parade of controversy. As with several other questionable products, the Food and Drug Administration (FDA) loyally supports Aspartame, regardless of the overwhelming amount of research proving it to be a dangerous poison. After entering the body, it is rapidly absorbed into the bloodstream. It subsequently goes through a process of conversions to methanol, formaldehyde, and finally formic acid. Aspartame can have negative effects on the neurological system, and can lead to long-term illnesses, such as multiple sclerosis, Lupus, and cancers. Short-term effects on the body can include insulin sensitivity and headaches. Ironically many new research studies have linked artificial sweeteners with weight gain and an increase in appetite. Many advocates for artificial sweeteners, including the FDA, continue to deny the validity of any research that puts artificial sweeteners in a negatively light, however, the prestigious Yale Journal of Biology and Medicine, 2010 was one of the many independent research journals to report on multiple studies connecting artificial sweeteners to weight gain. Crystal light contains diverse artificial colors, depending on the particular flavor. Artificial colors add no nutritional value to foods/beverages, but they come with several unpleasant side effects, specific to their color. It is best to avoid foods/beverages that have any artificial colors. Soy lecithin is an emulsifier used to prevent the beverage from separating once mixed. 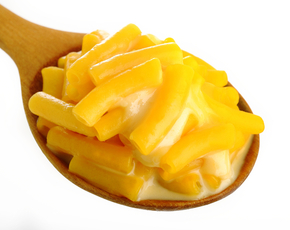 There are a multitude of emulsifiers used in millions of products. Soy lecithin in one of the most common emulsifiers, because of its cheap price. In general, soy should be avoided due to its negative effects on the reproductive system and high allergenic properties. Maltodextrin is used as a filler in the beverage after the contents are mixed. It has few negative side effects. However, individuals who have gluten allergies should avoid it, since it is derived from corn. Kraft has been under the fire more than once about the misleading representation of Crystal Light. In addition to implying that it is simply a tasty form of water, the label also bears a label claiming that the beverage is ‘natural’. In reality, less than 2% of the beverage’s ingredients are natural. 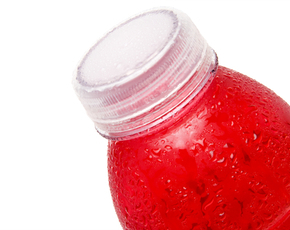 The Center for Science in the Public Interest (CSPI) developed a concern in the false claims regarding Crystal Light being a ‘natural’ beverage. After threatening a lawsuit over the ‘natural’ label on the beverage, they pursued the case until it was dismissed, due to the lack of a clear definition of the word ‘natural’ from the FDA. 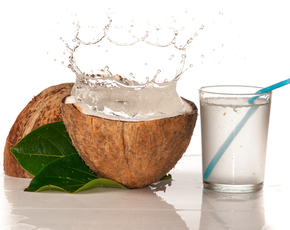 When it comes down to determining if a product is ‘natural’, you cannot depend on a label. Instead, be aware of the individual ingredients. However, always keep in mind, not everything ‘natural’ is beneficial.